On behalf of all of us at Northumberland Links, we would like to thank those who came out to join us for Savour the Shore on Saturday July 14th to celebrate the North Shore. A special thank you to all the individuals and business that donated to our live and silent auctions. 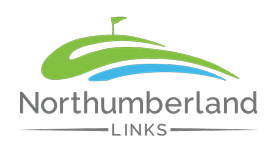 Each year Northumberland is home to a host of tournaments and groups; regardless if we are rolling out the red carpet for the NSGA Provincial Championships, a corporate office retreat, or a group of friends, visitors are in for a spectacular golfing experience. Located near the village of Pugwash, Northumberland Links is easy to reach from any direction: just 60 minutes from the Confederation Bridge linking Prince Edward Island with New Brunswick, only 70 minutes from Moncton and just 110 minutes from Halifax. The clubhouse, with its panoramic views of the Northumberland Strait, houses a professionally stocked pro shop and a full-service restaurant and lounge. On course services include a halfway house & beverage cart.